The highlight of my day…. Of course, being a minister, every day is a highlight and a wonder….. however, watching this will make it even more of a highlight and a wonder…. There is almost nothing I love better than a very long film involving fantasy and action. Wild, improbable escapism. Bliss…. Author GrahamPosted on December 14, 2013 Categories The HobbitLeave a comment on The highlight of my day…. What I am looking forward to this year…. I am looking forward to many many things. I also promise to appreciate each moment and savour it. But…..but…. December this year- I can’t wait…. 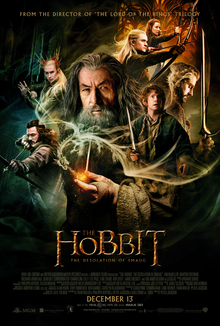 Author GrahamPosted on January 2, 2012 Categories The HobbitLeave a comment on What I am looking forward to this year….